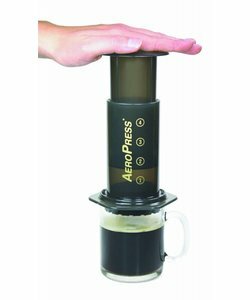 With the Aerobie AeroPress Coffee Maker, you can make a delicious cup of coffee with one press. No other device allows you to make an impeccable tasting cup of coffee or espresso in 30 seconds. In the AeroPress, the coffee is mixed with the water. This allows the water to absorb the flavours from the coffee completely. Thanks to the air pressure, all flavours are also fully utilised. You can use a variety of coffee grinds, from espresso to quick filter. 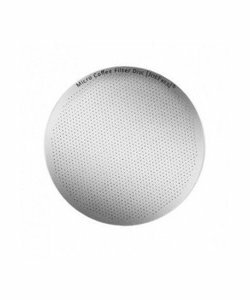 With the Able metal filters, you can determine how strong to make your coffee. The AeroPress is very convenient for on the road, in your hotel room, or at the office. There's no need for electricity, just hot water. The Able travel lid allows you to turn this device into a storage container, for conveniently storing the required coffee. Add some grass-fed butter and MCT oil, and you can make a Bulletproof coffee any time and anywhere!